Regulation Tournament Ladder Ball dimensions - our ladder is 40 inches tall and 25 inches wide. The ladder base is 36 inches long and includes two cross supports. The three rungs are 13 inches apart and 24 inches long. Also available as a single bundle! If you have any questions about this product by Uber Games, contact us by completing and submitting the form below. If you are looking for a specif part number, please include it with your message. 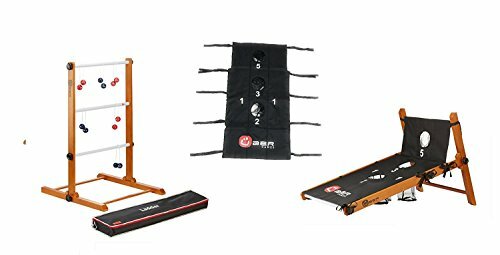 Deluxe PVC Ladder Toss Set - Includes Easy Carry Case!